Both women's semi-finals were played on Thursday and produced some excellent tennis. Ahead of Saturday's final, let's take a look at the results from the women's semi finals. The match between Caroline Wozniacki and Elise Mertens went according to the script, if you're a bookmaker anyway. Wozniacki, as second seed and clear favourite, more or less eased into the final, although there were a few curly moments, particularly late in the second set when the Dane was just two points away from the match. Up 5-3 in the second and at 30-0, Wozniacki could have secured victory about half an hour earlier than she eventually did. Nerves kicked in, and she was broken in that game, before the match was eventually settled in a tiebreak. The number two seed deserved the victory on the whole, and this should help her erase memories of her capitulation against Li Na on the last occasion she made it this far. Mertens was our pick prior to the match and was in such good form, but perhaps the thought of being so close was too much for the inexperienced Belgian. Far too many unforced errors and inconsistent serving gave her no chance, which was really disappointing. There were certainly a couple of positives to take out of the match though. Firstly, she is just 22 years old and had never been close to making it this far in a grand slam before this event. Mertens will gain so much vital experience out of this achievement. Also, the way in which she dug in late in the second set showed tremendous character, and at once stage she had the opportunity to break and force a third set. Ultimately though, Mertens was not good enough for long enough in this one. She took far too long to get into a rhythm and was probably aided by Wozniacki's jitters at the back end of the match. Overall, an admirable campaign by the Belgian. This was the match that was supposed to be worthy of being the final. Kerber and Halep had both won their last ten matches prior to the match - the German won in Sydney before her Aussie Open campaign kicked off, while Halep took the top prize in Shenzhen. Their last six meetings all came in 2016, when Kerber was at the top of her game, and unsurprisingly she was victorious on five occasions. It lived up to the hype. Halep won the match in three sets, and the third was absolutely epic, eventually finishing 9-7 to the number one seed. She will go into the final as slight favourite ahead of number two seed Caroline Wozniacki, and based on her performance - we're talking fifty winners and eight aces - it is a deserved tag. Kerber certainly had her moments. After taking a set off Halep, she fell behind and was down 5-3, with her opponent serving for the match. Fighting hard, she managed one break point, and the rally that ensued was one of the best of the tournament so far, eventually won by the German with a crosscourt backhand that kept her in the match and set up a fantastic finish. However, there was a sense that this was Halep's semi to win, especially after racing out to a 5-0 lead in the first set. The marathon match wasn't even close to the longest she has played in Melbourne so far; her third round victory over Lauren Davis required a 15-13 final set. Fit and firing, she will take a lot of confidence out of this one. The 2018 Australian Open Women's final between Caroline Wozniacki and Simona Halep will start at 8:30am GMT, Saturday January 27th. Both women are in incredible form and it is tough to determine who will emerge victorious. One thing that we do know is that we are guaranteed to have a new grand slam champion, as neither player have won at any of the four majors. Below we take a look at each player's run to the final, followed by their head to head analysis and our match prediction. Halep has certainly done it tough in her run to the final, no better summed up by how hard she needed to work to get over the line in her semi final match. Her last two matches have been against very good tennis players, and the intensity of her performances will leave her in good stead for the final. Halep's form has been good since her shock exit at the hands of Maria Sharapova in the US Open first round. She made it to the final of the China Open in October, and also won the Shenzhen Open, which was her warm up prior to the Australian Open. Her only blemish was at the WTA Finals in late October, where she lost to both Elina Svitolina and her upcoming opponent, Caroline Wozniacki. All thoughts of that tournament will surely be far from her mind now that she is on an eleven match winning streak. The number two seed has rarely been troubled throughout her run to the final, and will be eyeing up her first grand slam on Saturday. She is in what may be described as the best form of her career, and has won fifteen of her last sixteen matches, dating back to October when she commenced her WTA Finals campaign and defeated the likes of Elina Svitolina, Simona Halep, Karolina Pliskova before beating Venus Williams in the final. Since then she has excelled at the Auckland Open, reaching the final in that tournament, and has dropped just two sets on the way to the Australian Open final. She is yet to face a player ranked above nineteenth seed Magdalena Rybarikova, however has still got the job done despite being the clear favourite in every match she has been involved in so far. What has been most impressive about Wozniacki is her service game, which has definitely improved in the last twelve months. Free points on serve are crucial in big matches, and she will need to ensure that part of her performance gives her the best chance of lifting her first grand slam trophy. Halep and Wozniaki have met on six prior occasions. The Dane has the upper hand overall, winning four of the contests, while they are split at two each on the hard court surface. The pair first came up against each other in 2012, contesting a second round match in Dubai, and most recently clashed at the WTA Finals - Wozniacki was the winner in that one as well. Three of the matches between the finalists have gone to five sets, while it's also interesting to note that they have never played a competitive tiebreak against each other. We are going for the outsider here. 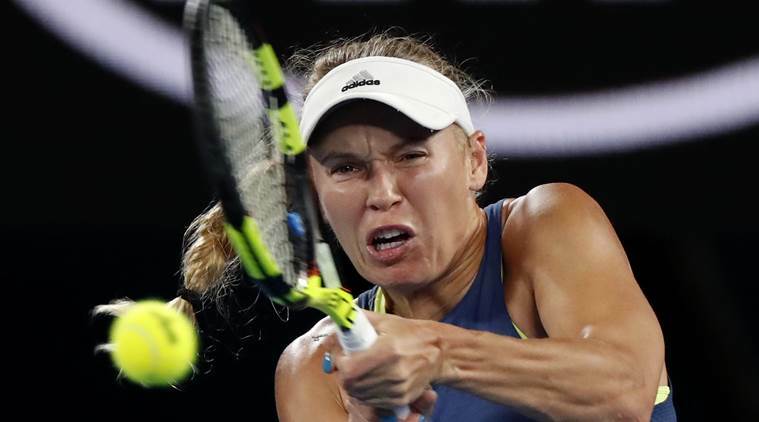 Wozniacki's form throughout the tournament has been great, although the final will come down to preparation and application under extreme pressure. Known to be a nervous player in big matches, we feel her underdog tag will do wonders, and being able to dwell on past victories against her opponent will help as well. She is a value pick, and we think she can get the job done. This is a big bonus considering her opponent has not played against any notable opponents in the build up. Halep has also shown how fit she is in winning two marathon matches, and this will be critical in case this one goes to three sets. There is a pretty good chance considering the two top seeds are coming together. Many of Caroline's strengths are the exact opposite of Halep's. She has not needed too many sets to overcome her rivals in this Australian Open run, and as a result will be feeling slightly more fresh than her opponent. Although her matches have been somewhat easier, you have to give credit to Wozniacki for the way in which she has played, and it's clear she is in great form looking at how simple she's made the game look. Wozniacki will also draw on her head to head record with Halep. She thrashed the German in straight sets at the recent WTA finals, and has also defeated the Romanian on her favoured clay surface (we base that belief on the fact Halep has made two French Open finals, her best of the four slams). Knowing you can beat someone is a big advantage. Neither player has won a Grand Slam tournament, and each are participating in their third final. It will be the case of third time lucky for one, but for the other it will be another missed opportunity. Nerves will certainly play a part, and the result may come down to who manages their emotions better.